When Jim Blackwood's doorbell rings at 10:45 p.m. on a Friday and he sees a masked bandit staring through the glass, he shuffles over to the bucket of peanut butter sandwiches and opens the door. Ten or 11 creatures rush inside, deftly grab sandwiches, and race back out. "No, you're not going to eat that there," Blackwood tells one as he shoos it outside his rural Pictou County home. 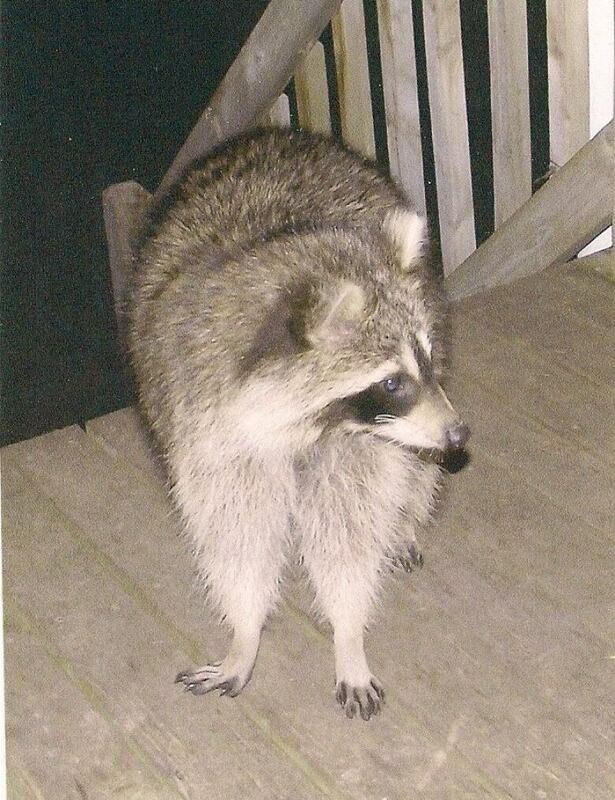 "I am known on YouTube as Raccoon Whisperer," the Churchville, N.S., man says. "I take care of raccoons and get them ready for their winter sleep." One of his oldest raccoon friends, Rascal, will turn 13 in the spring. He knows her birthday because it was her mother that first reached out to him from the raccoon world. She had been hurt, likely by a car, and so Blackwood and his wife Jane took her in. That was 1999. "We gave a soft release into the wild and she's been here with us every year since," he says. That raccoon later returned with her cub, which Blackwood and his wife named Rascal. His wife took to raccoons with a passion and on some nights 18 turned up for the late-night eats. Jane Blackwood died in 2003 of cancer. 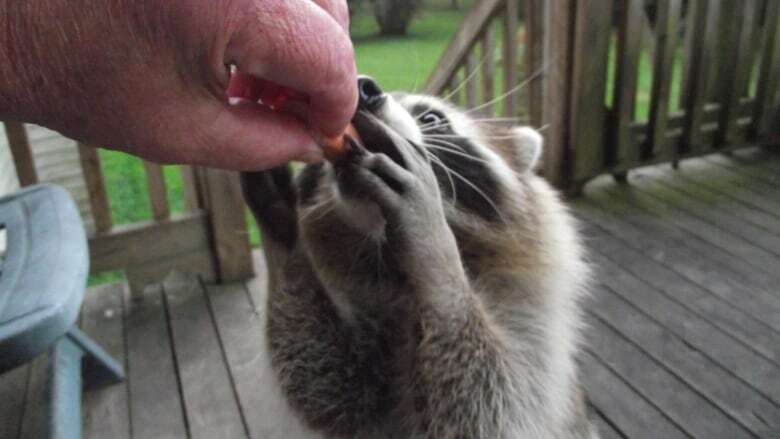 Jim Blackwood merged her love of raccoons with his love for her, and so became the Raccoon Whisperer. "I fell in love with the animal and would not have it any other way. I am a retired RCMP officer and this is what I do full time," he says. Rascal brought her pals to the best late-night diner in Pictou County. 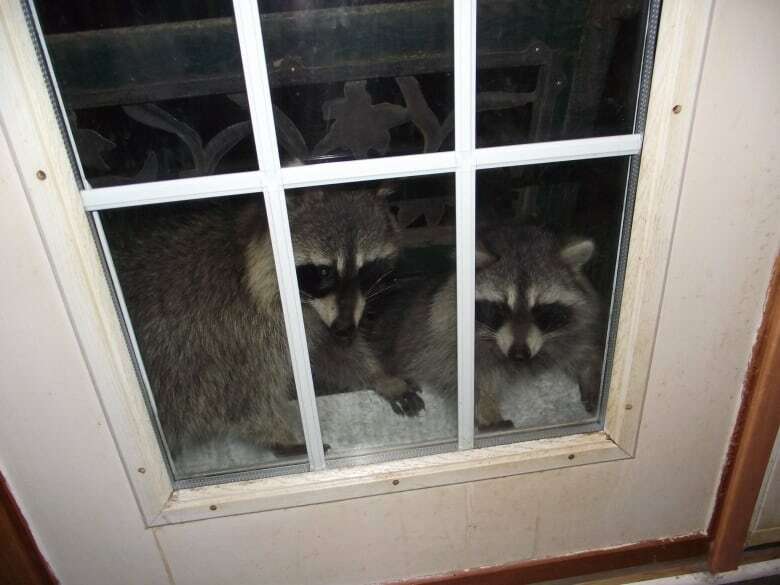 As Blackwood told CBC's Maritime Noon, he started prepping the meals earlier in the day and then at night waited for the raccoons to ring his doorbell by way of a motion-detector installed on his deck. "Rascal has to have the crusts cut off hers. She won't eat them with the crusts on," he says, a requirement many caretakers of cute little creatures will be familiar with. In summer, they turn up after 10 p.m. and hang out as late as 4 a.m. Sometimes he serves chicken hot dogs, hard-boiled eggs, grapes, apples, bananas and unsalted peanuts. "I cook sausages for them, I do Hamburger Helper with sauteed mushrooms, Vienna sausages, roast chicken, pigs-in-a-blanket. And Tim Hortons doughnuts." Rascal prefers the honey cruller doughnut. "On a Saturday night, she gets one of those. She won't leave until she gets one." How she knows it's Saturday night is anyone's guess. He ran out one night and went to three Tims until he finally found one with a leftover cruller. He's also started an unpaid side gig as a cubsitter. Raccoon mothers trust him to look after their unweaned babies while they go out for the evening. "I assume she's out hunting somewhere," he says. He shared some raccoon photos on Facebook and then added a video of the raccoons eating the peanut butter sandwiches. So many people watched it that he now regularly posts as the Raccoon Whisperer. He lives in rural Pictou County, so neighbours rarely see them. 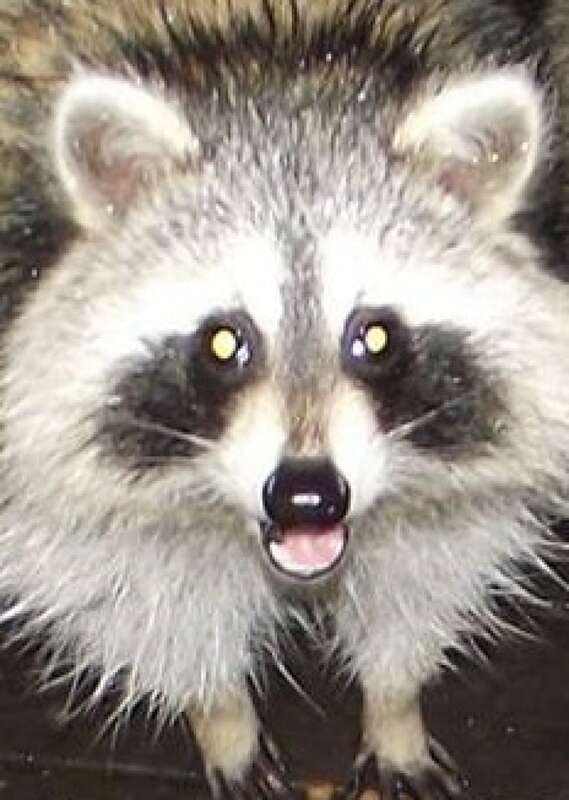 He says the raccoons are good company. "I like the fact that they treat me like one of their own," he said. "I'm just one of the boys." But a word of caution for anyone contemplating becoming best pals with local raccoons. Hope Swinimer, who runs the wildlife sanctuary Hope for Wildlife, says people should think about a few things before feeding wildlife. Like Blackwood, you should have few human neighbours because the animals might cause them problems. Swinimer notes that she and her staff are licensed and highly trained to deal with wildlife. "They do carry the raccoon roundworm, which can cause death in small children and blindness in adults," she says. You need to eat raccoon poop to get it, but it has happened when a child put a stick with raccoon feces on it in their mouth. 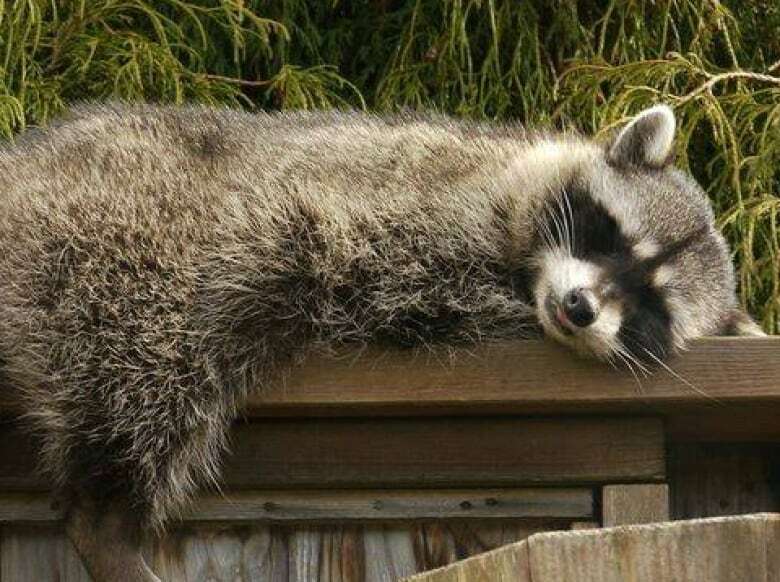 Raccoons can also carry panleukopenia and canine distemper. The first virus can hurt cats and the second dogs. Feeding wildlife can lead to a population increase, which could crash when that food source stops. "I don't want to sound negative, because I really do encourage people to enjoy nature to its fullest and I love seeing compassion and caring," she says. Swinimer says if done thoughtfully and safely, bonding with wildlife can improve your life. "The intelligence level of our wild world is pretty impressive. The more people get to see that and experience it, it takes away a lot of the myths and fears and opens it up to see they're all living things," she says. The Department of Natural Resources suggests people read these two pages to learn more about interacting with wildlife.